Lunch at International Plaza continue to be like Hunger Games. Office executives chiong to get their favourite seats, chope seats with tissue paper and office passes. I just want my salads. 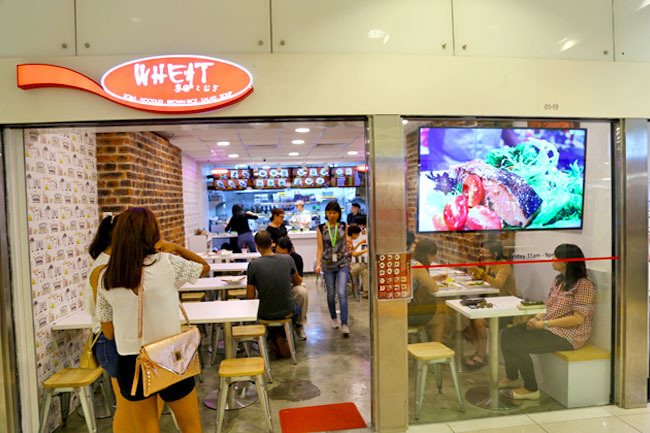 WHEAT, which was known as Wheat Baumkuchen, just opened its 3rd branch at International Plaza. It has come a long way. 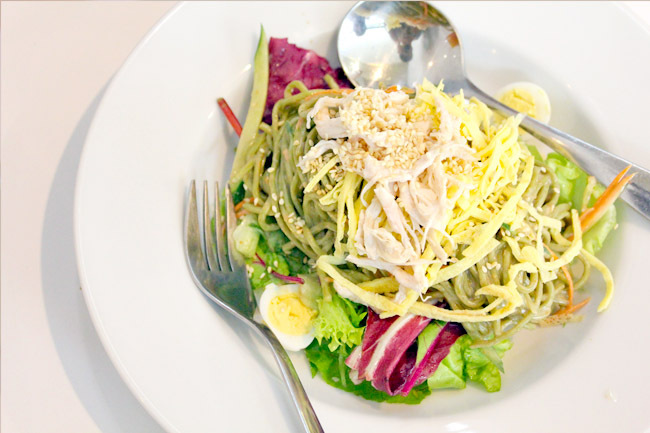 From a Japanese baumkuchen shop at Toa Payoh Central (now closed), they have been considered a favourite lunch haunt for CBD executives, who praise their healthy sets of soba noodles, brown set sets and salads. I can never quite remember their dishes, strangely (and cutely) named as Penguin, Sea Gull, Reindeer, Polar Bear and Whale. 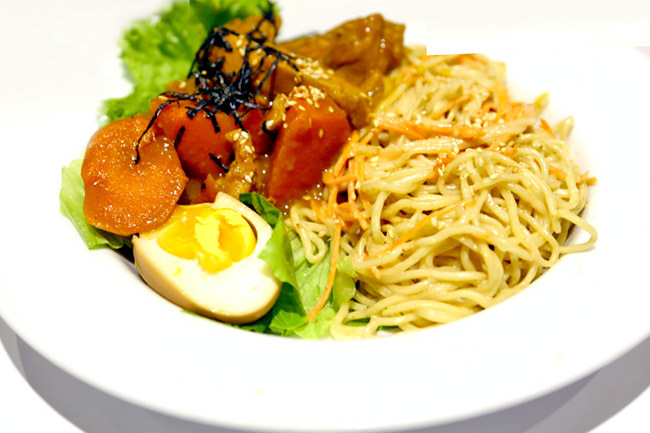 There is NO SUCH meat in their salads, but branded after animals living in the cold climate as the shop offered cold Japanese noodles. Sodesu ne. 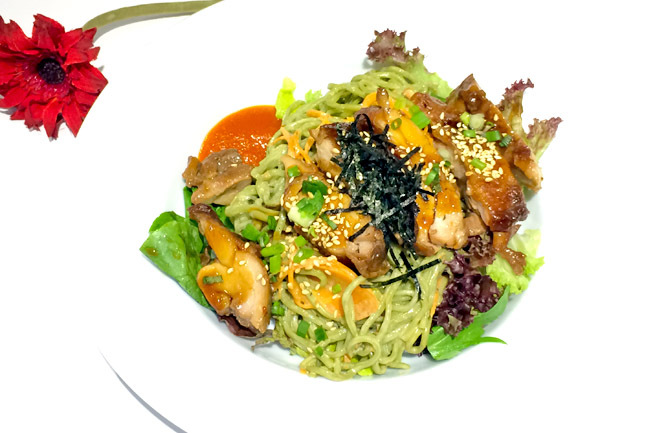 The three most popular items were the Penguin ($7.80) – green soba with shredded chicken, eggs, salad, and sesame sauce, Salmon ($9.00) – grilled salmon with green soba, salad and yuzu sauce, and Bull Run ($8.00) – grilled teriyaki chicken, green soba and salad. There is no bull in the Bull Run. 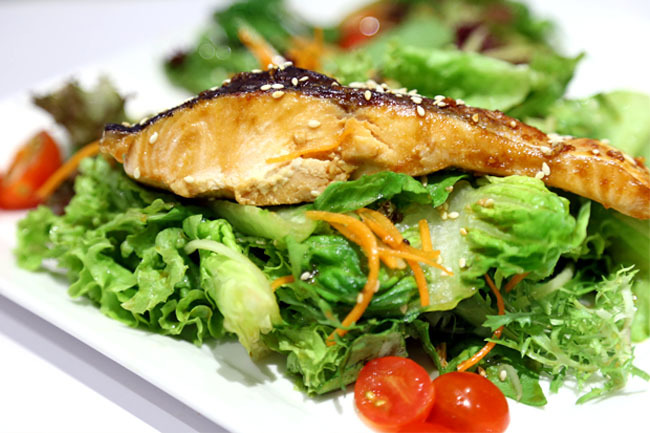 What I liked was WHEAT incorporated some Asian elements and carbs to salads, and would please those who would want to feel healthy yet full, and taste without the guilt. Prices were considered affordable for its portion and location. Guys can consider the more-filling Lava ($7.80), dry ramen with curry chicken and potatoes. However, as items were exactly the same as the other branch, I wished there could be 1-2 monthly specials for variety and to make this place a more regular venue. Asia Square Tower 1 Food Garden. 8 Marina View, #02-02. Tel: +65 65350277.